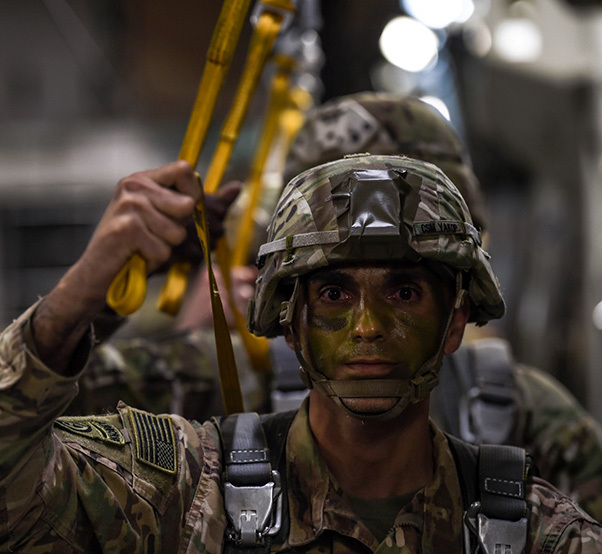 An 82nd Airborne Division paratroopers waits to jump out of a C-17 Globemaster III from McChord Field, Wash., during Exercise Predictable Iron near Pope Field, N.C., Aug. 21, 2018. Airmen from the 62nd Airlift Wing participated in a joint exercise with the 82nd Airborne Division to drop equipment and personnel at two drop zones during Exercise Predictable Iron at Pope Field, N.C., from Aug. 20-24. Airmen from the 7th and 8th Airlift Squadrons crewed two C-17 Globemaster IIIs to assist more than a thousand Army paratroopers in the exercise as joint training between the 62nd Airlift Wing and 82nd Airborne. “It is crucial that the Air Force and Army work well together because without each other the mission fails,” said Capt. Jared Barkemeyer, 7th Airlift Squadron pilot and aircraft commander for one of the C-17s. “Without the reliable transport the Air Force provides, the Army could not execute their objectives in a timely manner via airdrop. 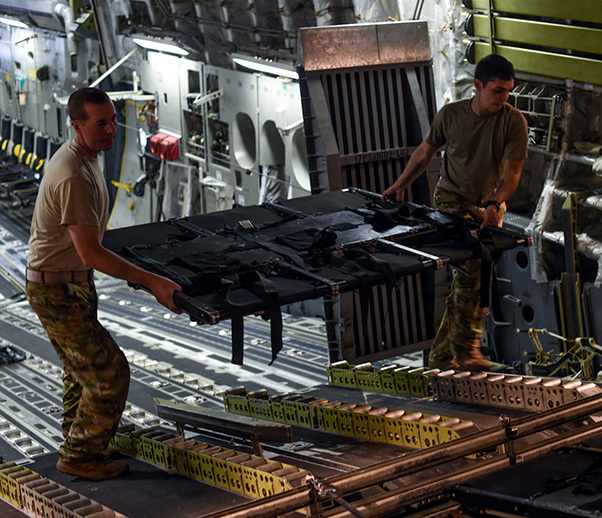 The Airmen worked alongside Soldiers to load equipment onto the aircraft, as well as with jumpmasters and paratroopers to help them maintain their readiness requirements for airborne missions. 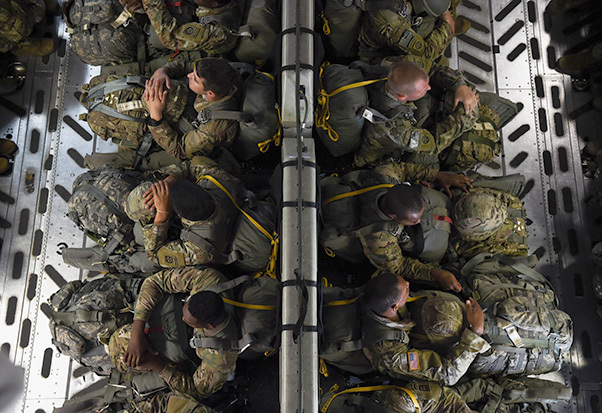 Paratroopers from the 82nd Airborne Division move to the drop zone aboard a C-17 Globemaster III from McChord Field, Wash., during Exercise Predictable Iron near Pope Field, N.C., Aug. 21, 2018. A benefit of the joint exercise was determining where there may be shortfalls and strengthening those areas to become more efficient or effective. Over the course of three days, Airmen and Soldiers dropped 40 tons of equipment, such as armored vehicles and re-supply containers, as well as 1,005 paratroopers. “Working with the Army was great,” Barkemeyer said. “Inserting hundreds of jumpers into an objective area tests the crew’s abilities, as well as strengthens our habit patterns. The 82nd jumpers are some of the toughest service members around and being able to airdrop them is an honor. 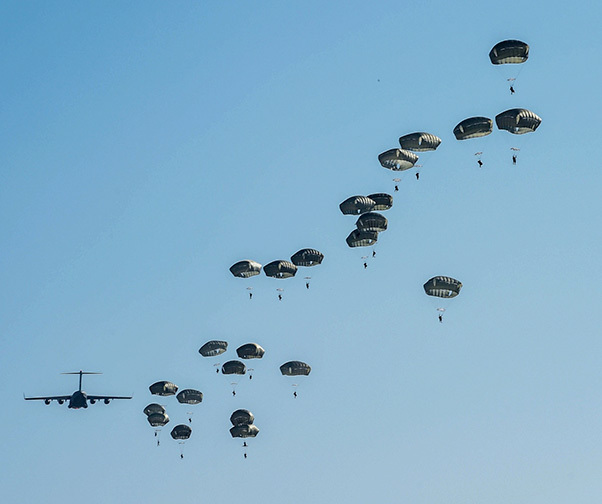 Paratroopers from the 82nd Airborne Division jump from a C-17 Globemaster III from McChord Field, Wash., during Exercise Predictable Iron at Pope Field, N.C., Aug. 23, 2018. 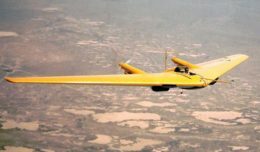 During one of the personnel airdrops, the Army also practiced dropping the caster assisted A-series Delivery System, or CAADS, which is a new method to drop door bundles, a container of equipment pushed out the doors of an aircraft. While the exercise provided the Airmen with the opportunity to work alongside Soldiers, it also provided a chance for Air Force crews from other squadrons to work together. Exercise Predictable Iron provided the opportunity for the Air Force and Army to strengthen their skill sets together and work toward a common goal. Exercises such as this one help accomplish the Department of Defense’s enduring mission to provide combat-credible military forces needed to deter war and protect the nation’s security. 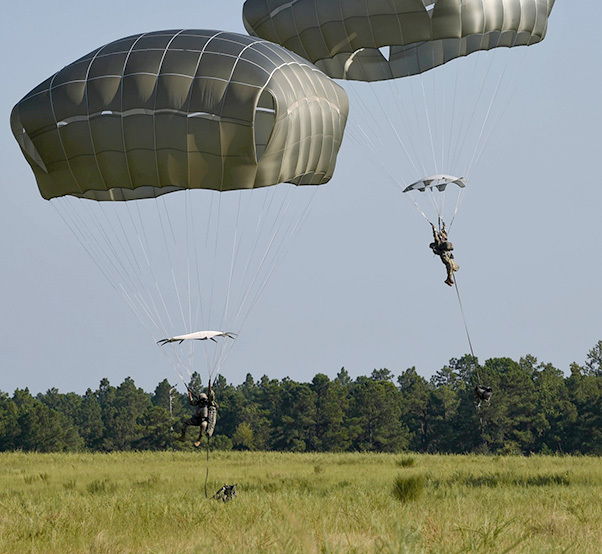 Paratroopers from the 82nd Airborne Division reach the ground after jumping from a C-17 Globemaster III from McChord Field, Wash., during Exercise Predictable Iron at Pope Field, N.C., Aug. 23, 2018. Tech. Sgt. Drew Czarnecki, left, and Staff Sgt. Raymond Sandoval, both 7th Airlift Squadron loadmasters, stow the disassembled part of seat away inside a C-17 Globemaster III during Exercise Predictable Iron at Pope Field, N.C., Aug. 23, 2018.